There was plenty of opportunity for some good old fashioned country music drama last night at the Academy of Country Music Awards (the ACMs, which are not to be confused with the CMAs, the other white meat of country music awards shows), but there was nary a whiff of grain alcohol-soaked card cheatin’, man stealin’, hair pullin’, cussin’ and a’fightin’, and hootin’-n-’hollerin’ at the event. 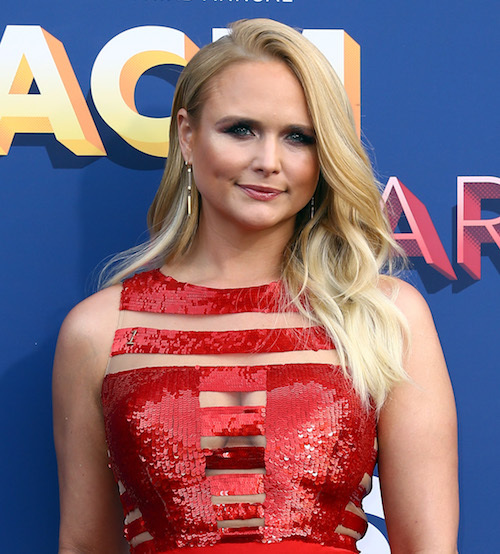 The only scandal worth tellin’ a mule happened on the red carpet when Miranda Lambert, the savior of country drama, showed up looking like the cat who chicken fried the canary and ate it with a side of grits . She brought her new husband Brendan McLoughlin with her. March 22, 2019 / Posted by: C.J. When you think of the Catholic Church, the image of St. Gwen Stefani, Patron Saint of Ska doesn’t exactly come to mind – but she’d like it to! In your Friday dose of random, Gwen is apparently super religious, and she wants the man upstairs to do her a solid and forget all about her marriage to Gavin Rossdale so she can be clean in the eyes of the church when she and Blake Shelton have a country-croonin’ wedding in Dogpatch or wherever it is he comes from. January 16, 2019 / Posted by: C.J. 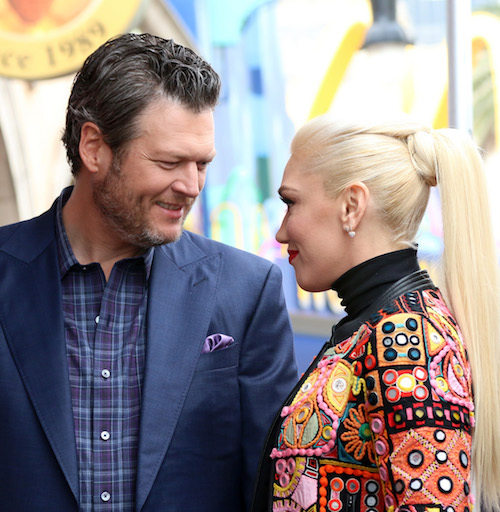 Someone might need to put out a casting call for the world’s first banjo-pluckin’, Mohawk-wearin’ ska wedding band because the Houses of Blake Shelton and Gwen Stefani appear to be inching closer to engagement. Those two were love at first hard-working publicity stunt sight during their time on The Voice, but they’ve kept at it since 2015. Snitches are saying they’re so serious that Blake is going to put a ring on it any day now. Ah, well, Miranda Lambert. At least you’ll find a way to turn this into an album for yourself. September 5, 2018 / Posted by: C.J. It feels like ever since Blake Shelton and Gwen Stefani got together back in 2015, any mention of their names is usually followed with a rumor that she’s mere moments from line-dancing down the aisle of a decorated barn to a ska version of Here Comes the Bride. That, or someone is screaming that she’ll soon be delivering Cracker Barrel’s newest customer. But Blake has said that marrying isn’t something he’s rushing into.